What are some of your favorite things about coming to the Alabama/Florida Gulf Coast? David T. says, "Easy pace. Good value. Good food. Great golf. Beautiful beaches and sunsets. Traffic not near the hassle of Destin." Chuck B. says, "My most favorite sight is when 59S ends at Beach Blvd. When we get to that red light and see the Gulf, we all still get a little giddy. I love drinking coffee on the balcony as the sun rises and everything is quiet, except for the surf. I love the dining, especially in the Fall. No wait, no stress, and excellent seafood. Really, I like it all, but we like Fall on the Gulf Coast." Betsy B. from Indianapolis says, "I love being in OBA for many reasons....seeing our grandson and his parents, biking the miles and miles of trails in the State Park and elsewhere, taking advantage of Happy Hour specials at various restaurants, sitting on our balcony and admiring the view, chasing gorgeous sunsets almost any day of the week, and meeting the friendly folks who live there and run their businesses." Emily helped us through a very friendly check in process and the property was very well maintained. We have a memorable vacation and all our queries were promptly answered. We had a best vacation and the views from the property were breathtaking. Especially Sunrise and Sunset. The property was very comfortable for 2 families. Our kids had the best time and the beds were very comfortable. We thank Emliy for making our vacation memorable. we will surely return when time permits again. Emily was very friendly and quick to respond. We loved our condo. If had great views, we even saw dolphins from our balcony on our last morning. The team at Gulf Beach Rentals was great. They were very helpful and made sure our stay at Phoenix Gulf Shores was very enjoyable for me and my family. Our vacation at Phoenix Gulf Shores was great. The condo we stayed in was awesome. Even with the threat of Hurricane Michael, Emily stayed in contact with us, giving us updates on the storm and even providing us with possibly activities to do on the rainy days we experienced. I have to say this has been one of the best family vacations we have ever had. The team at Gulf Shores Rentals was great. 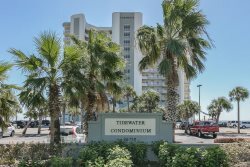 They were very helpful and made sure our stay at Phoenix Gulf Shores was very enjoyable for me and my family. Emily was great to work with. Friendly and responsive to all our needs. We had a great time! We enjoyed the cleanliness of the property and condo. Would definitely stay again here. One of the best customer service experiences I had. The owner reached out immediately after receiving my reservation. Followed up upon my card being approved. I had to reach out to her due to another party checking in before me at the property. She answered and had the issue fixed immediately. Could not be happier with my experience in working with this property. The unit itself was amazing. Very clean, spacious, and everything needed was there. Top of the line appliances. So many things to do, my children never got bored. The amount of space in the unit is amazing. I would highly recommend your services I was able to text, email, or call with any question or concerns about anything. That was deeply appreciated and took the worry off of everything. We all stated that this was the best vacation we all have had. The room exceeded all of our expectations. One of my aunt's stated that she felt like a millionaire for our time there. The property was spectacular. We enjoyed every minute we were there. The weather was not great but we made the best of it. IT was a lovely place and HIGHLY recommend the Phoenix Gulf Shores to everyone. Your team made our family vacation so enjoyable and stress free!! Thank you for a relaxing beautiful week!! Your property was extremely clean and beautifully maintained! Thank you for such a wonderful experience!! Emily was more than helpful! Loved everything and every minute of our adventure!! Emily was really helpful and gracious. Emily was super sweet and very responsive and helpful. We've stayed at the Turquoise on 2 previous occasions and have found it to be the most well-appointed and comfortable property for our family's needs. Having a grill on the balcony was great for cooking burgers, hot dogs and steaks, and the kids really enjoyed the hot tub on the balcony. The beach view is amazing. Highly recommend!